Welcome to Le Box Boutique! 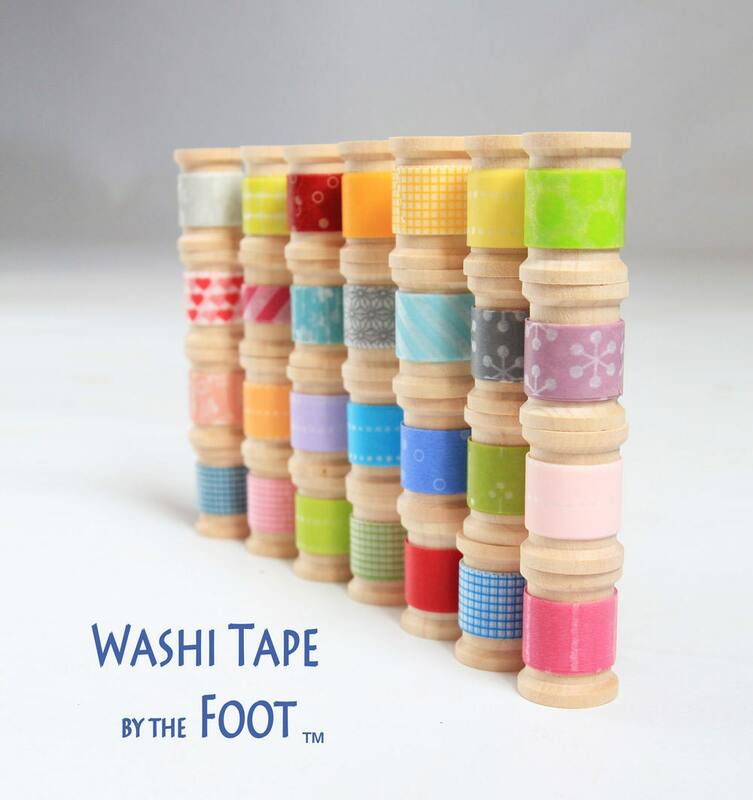 We are the original creators of WASHI TAPE BY THE FOOT, which allows you to choose from a large variety of tapes in the amounts you need! 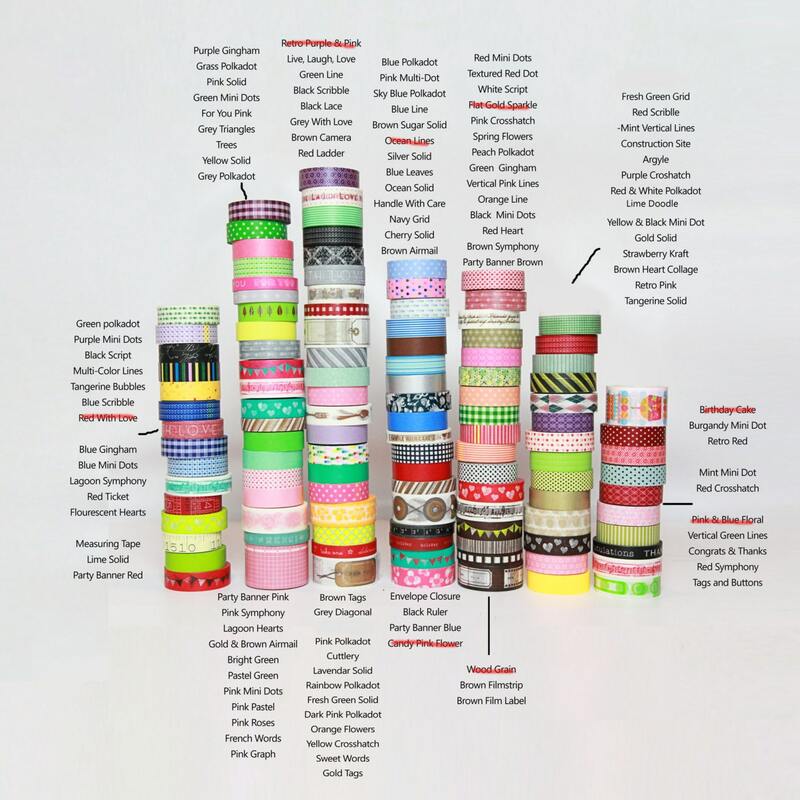 I can assure you that a great amount of love and work goes into each and every hand-rolled spool of tape and I hope you will enjoy it as much as I do! 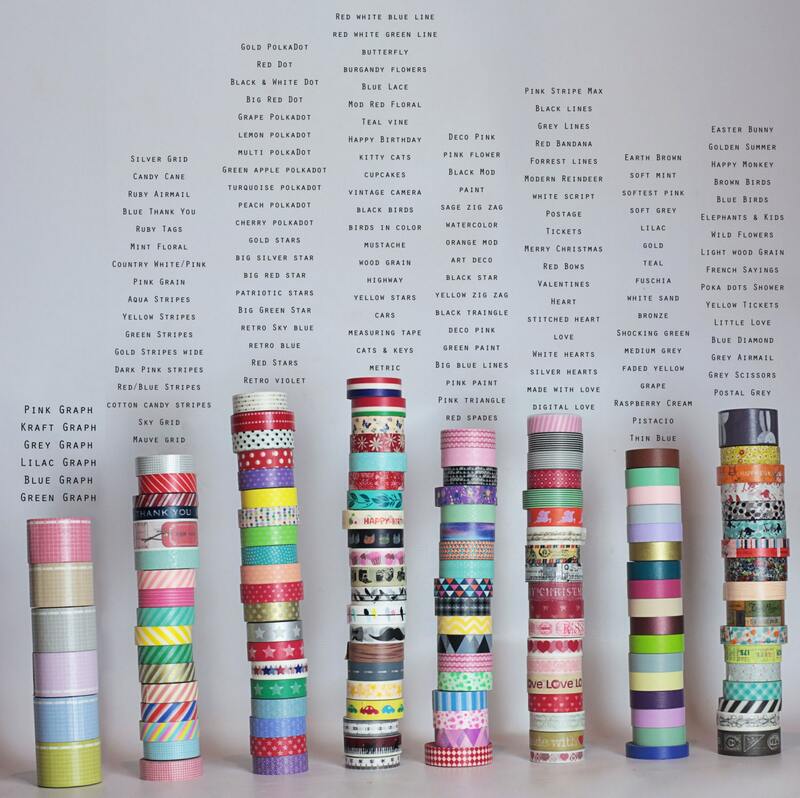 THIS LISTING IS FOR 16 FT (5 Meters) OF WASHI TAPE. 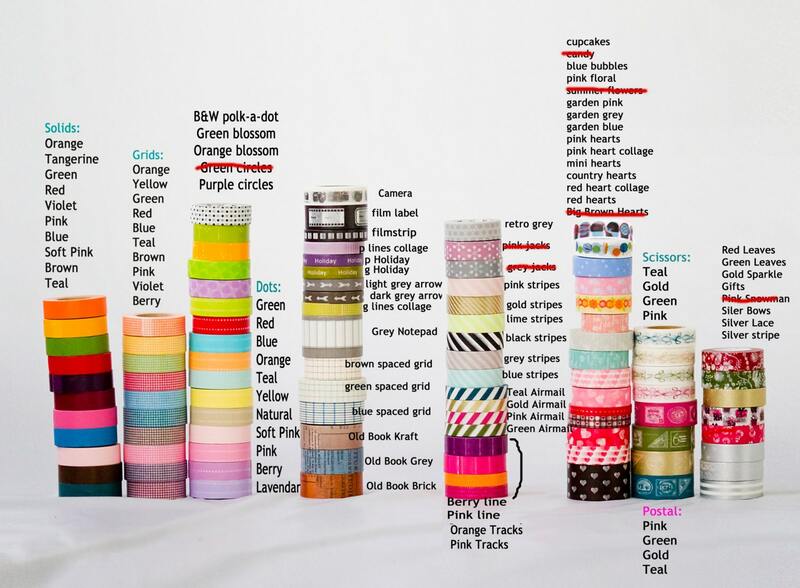 Order minimum is 2 feet per pattern/color which allows you to GET UP TO 8 ROLLS WITH THIS LISTING!!! If you'd like more ft. per roll and less than 8 rolls, that is fine, just specify the amounts as long as it adds up to 16ft. You can select your own patterns by writing them in the "note to seller section" during checkout or select "Surprise Me!" to save a little by letting us choose a fun variety for you. Want a custom order or amount??? Interested in wholesale rates? Convo me! 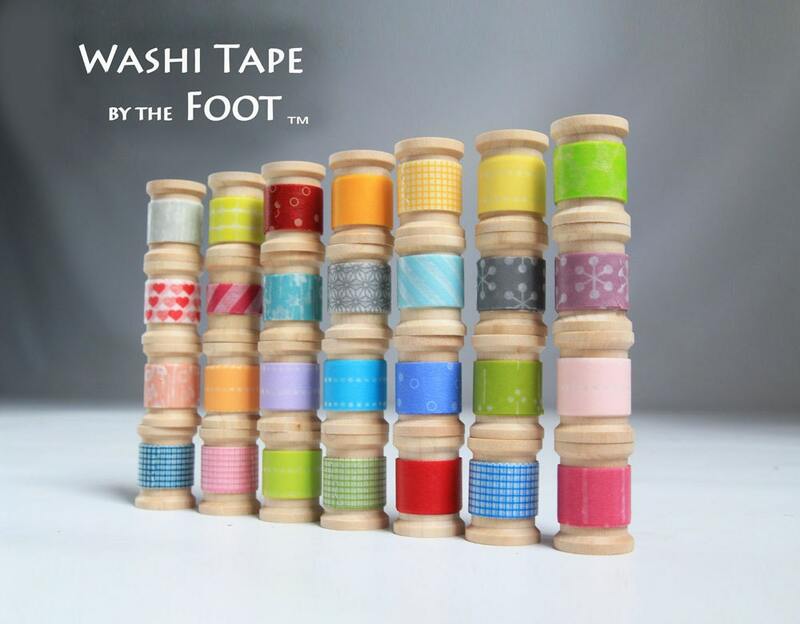 Vibrant decorative colors on a wooden spool,very easy to use. Thank you. It was really cute. I liked it except it could be a little more clear on how many you get. Just because the first time I received 20 and the next I got 8. Just a little confusing.